Sol­der­ing, glu­ing and laser ap­pli­ca­tions can re­lease harm­ful fine par­tic­u­late and fumes every­where, pos­ing a risk to the en­vi­ron­ment and to work­ers. At the same time, legal reg­u­la­tions are get­ting tighter and tighter – and the costs as­so­ci­ated with health and safety keep ris­ing. 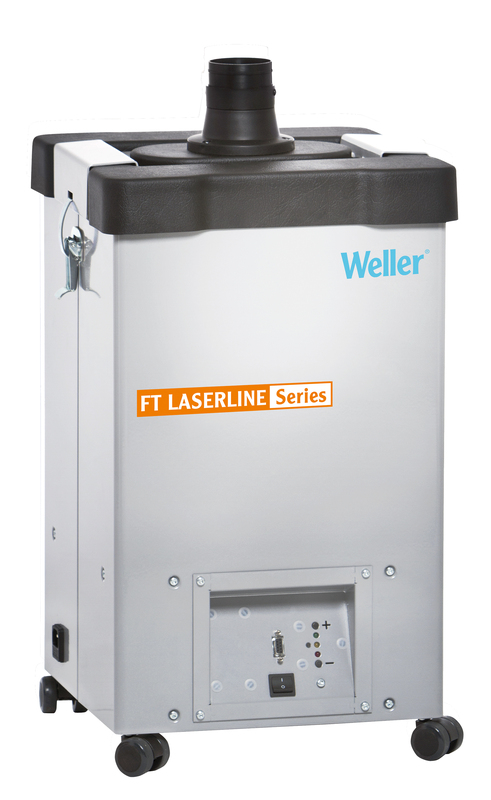 Weller is on hand to help with two ex­trac­tion so­lu­tions that re­cir­cu­late the pu­ri­fied air: Vol­ume ex­trac­tion and sol­der­ing tip ex­trac­tion. Weller ex­trac­tion tech­nol­ogy is ide­ally suited for use in lab­o­ra­to­ries as well as for man­u­fac­tur­ers of elec­tronic de­vices, laser tech­nol­ogy and med­ical de­vices, and many other sec­tors. Vol­ume ex­trac­tion is suit­able for man­ual sol­der­ing, sol­der baths, hot-air sol­der­ing, micro sol­der­ing or glu­ing work. 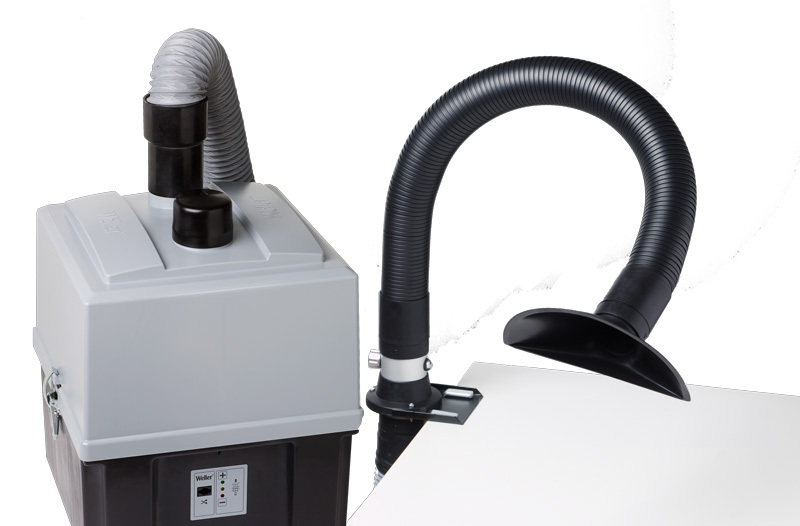 The ro­bust mo­bile sys­tems are ca­pa­ble of clean­ing air for up to six work­spaces at once. 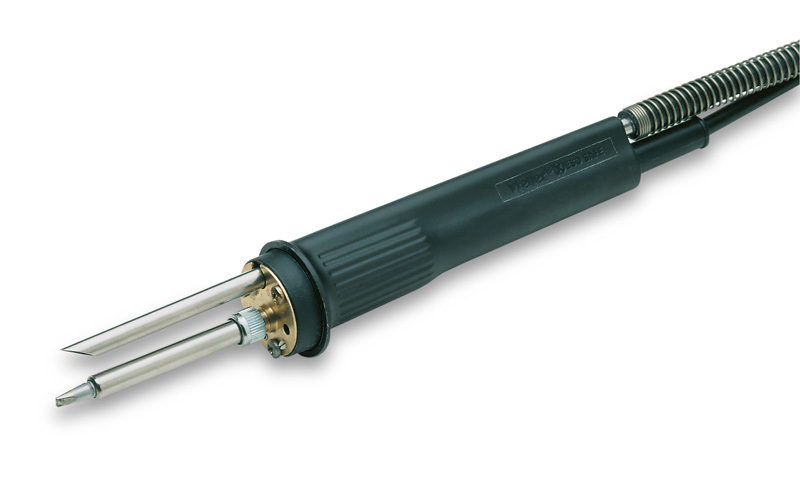 For ex­trac­tion straight from the sol­der­ing tip, Wellers FE sol­der­ing irons and FE retro­fitting kits are just the an­swer. Laser ex­trac­tion sys­tems ex­tract harm­ful emis­sions from the very point where they are pro­duced – right at the laser head. This pro­tects the lens of the laser against dam­age and pre­vents harm­ful sub­stances being re­leased into the room.